Bing West. Random House, NY. 2008. I’m in the middle of writing a case study about insurgency and counterinsurgency in Anbar Province. Given his other two books, West is easily the authority on the matter, despite his occasional (but certainly earned given his extensive service) outlandishness. So in this review, I’ll focus more on Anbar and leave future readers to wade through the 2007 Battle of Baghdad on their own. Whereas other books like Fiasco end in 2006 when the insurgency peaks and the civil war begins, West’s account ends just after the defeat of the Second Sadrist Intifada in May 2008. Up until that point, he provides a comprehensive account of American strategy and tactics since the beginning of the war, including perspectives throughout the chain of command and different locales in theatre. His observations put the reader front and center into the dilemmas faced by the American military in the war, and the long hard fight to win over the loyalties of the Iraqi people. At heart, this book is about how the United States military learned counterinsurgency. Reading will overturn any preconceived notions about the subject, unless of course you were there and experienced it yourself. For example, while 2007 was the turning point in Iraq, it was in late 2006 that Ramadi, the capital of Anbar Province, was brought under control by the Marines. To some degree, the Marines are suggested to have picked up COIN faster than the rest of MNF-I. 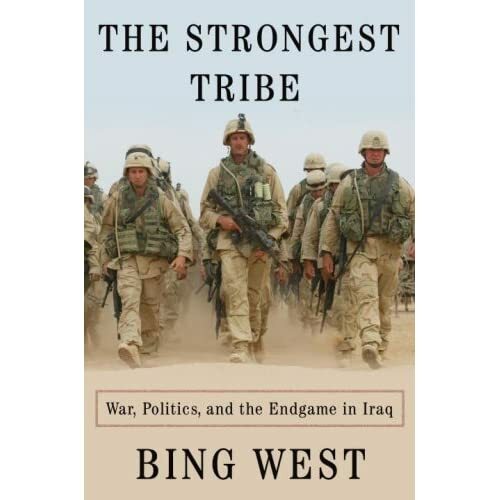 In taking over Anbar in Spring 2004 from the 82nd Airborne, Marine Expeditionary Force I commanded by Gen. James Mattis deliberately sought a velvet glove compared to the Army’s heavy-handed tactics. This plan was disrupted by First Battle of Fallujah, ordered by Washington and then cancelled as the Marines were about to take the city in April 2004. It was pacified until the Second Battle in November 2004. West illustrates how the Marines began to practice COIN piecemeal in isolated pockets across Anbar. Fallujah may have been pacified, but insurgents cells still remained in the city. Ramadi was never entirely abandoned by the US military, but attacks are constant, especially on Route Michigan (the city’s main thoroughfare) and against the Government Center. In between lay rural towns and hamlets, centered on the small city of Habbaniyah. In his travels, West shows how the Marines eventually win over the population in Anbar by bringing security to the people, and by abandoning a force protection strategy that seeks to reduce the amount of risk to the US military by operating on massive Forward Operation Bases and ‘commuting’ to work in towns and cities. Instead, the Marines take back cities and towns block by block, and actively undermine the strategy of murder and intimidation practiced by Al Qaeda and its allies. AQI finds itself unable to ensure the quiesence of the Sunni population once the Americans communicate to Iraqis that they will be a reliable partner in the fight against al Qaeda, reinforced by the American strategy of embedding units within major population centers. Once the Marines communicate to the Iraqis that they were there to stay, the tide of the war shifted permanently. One great fault of the book is that it lacks an Index. This makes it a bit more difficult to track unit and commander histories and evolution of the war in different locales, as the action often jumps from town to town in each chapter. It should also be noted that this is not an unbiased account either, but first and foremost represents the perspective of the US military. West freely passes judgment of the strategic failures of the Bush Administration and anti-war rhetoric of Congressional Democrats (John Murtha gets a serious dressing down for his post-Haditha comments). These detours back to Washington are thankfully brief as the book runs for a healthy 350 pages. In a nutshell, no longer book captures the entire trajectory of the war – its defeats and victories – so completely as The Strongest Tribe. Certainly others will follow, but I doubt few will compete.